Nearly all of us have smartphones these days, plus some form of cloud storage as a backup solution. However, we’ve really only just reached the point were lots of apps are being written with integration to cloud storage in mind. Because of this, you may not have realised that quite a few very useful apps have popped up with integrated Dropbox syncing. We’ll be covering some of the best of these today. 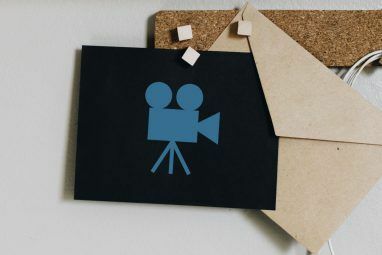 Recently we covered the 10+ best apps for your Dropbox 10+ Best Apps for Your Dropbox 10+ Best Apps for Your Dropbox If you've been using Dropbox for a while, you may not have noticed that a whole ecosystem of applications have been built up to use the service. 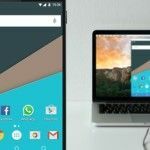 Over time, these apps have sprung up to... Read More , but we deliberately didn’t mention any of the great mobile apps for Dropbox. That’s because there are just so many fantastic mobile apps out there for use with Dropbox that it was worth making a list just for mobile. It goes without saying that if you love Dropbox you should grab the official app for your smartphone device. Get the Android app or the iOS application for free. CamScanner lets you take photos of receipts, white boards and more, then auto-enhance and crop so that you have a scanned-quality image. It’s got auto-sync capabilities for Dropbox and other cloud storage so you can keep your scanned documents backed up easily. We’ve covered CamScanner in detail before here Scan Documents on Your Phone with CamScanner for Android Scan Documents on Your Phone with CamScanner for Android You can use this handy app to scan any document straight from your phone. Read More . Get CamScanner for Android or iPhone for a free trial or $4.99 for the full version. Documents To Go has been around since the glory days of the Palm Pilot and has continued to improve and adapt their applications since then. Their iOS application has Dropbox integration included as well as Google Docs and other cloud services. The Android version doesn’t yet claim to have Dropbox integration, but it’s surely on the cards. QuickOffice Pro is yet another office documents editor, so you’ll probably want to choose just one. QuickOffice Pro lets you edit all of your regular office suite documents, plus annotate PDF files. Syncs to many forms of cloud backup, including Dropbox. Get your copy of QuickOffice Pro for Android or iPhone for a little over $10. 1Password is a popular password manager which syncs your password information across devices securely. Dropbox can also be used as an option for backing up your password details. 1Password is available free for Android [No longer available] or $9.99 for the Pro version for iPhone. If you’re keen to keep your documents extra secure, then encryption is the way to go. BoxCryptor is one of many web-based encryption services for Dropbox, but it also has fantastic apps for use on Android [No longer available] and iOS devices in order to keep documents encrypted and usable on all of your devices. We’ve covered BoxCryptor in detail before Encrypt Your Dropbox Files With BoxCryptor Encrypt Your Dropbox Files With BoxCryptor Dropbox is a great service, but its security track record is nothing to be proud of. 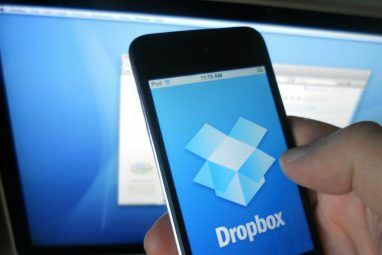 We’ve previously written about encrypted alternatives to Dropbox, but let’s be honest -- Dropbox stands out among cloud storage... Read More . Todo.txt Touch is the simplest, most elegant To-Do list solution for your mobile device and desktop. All your data is stored in a simple .txt file and synced across devices via Dropbox. Despite the file’s simplicity, the app still manages to offer task prioritisation and other primary to-do list functions. Grab the application for iOS or Android [No longer available] now. If you want to automatically sync photos from your phone to your Dropbox or get music from your computer to your phone just by putting it in your Dropbox, DropSpace is the perfect app to make it a little bit easier. What DropSpace does is automatically sync any given Android folders with your Android Dropbox folder when and how you wish. 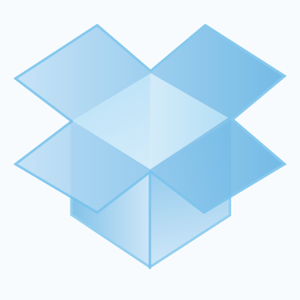 So, which mobile apps that sync to Dropbox do you love? Sticky Notes provides an easy and stylish way to manage your tasks and Todo lists on your iPhone or iPad. Scan, Print, Fax, Download and Store Microsoft Office, PDF and Text Documents and images. This app turns your iPhone or iPad into a Handy Scanner, Fax, File Storage or an Air Printer in your pocket. The apps that you mention above are all great apps. There is a pretty new app called FileBeam which transfers Dropbox files using NFC technology. It's on Google play store and it has high rating as well. I personally use it to send lecture notes to my classmates during class. No computer needed! I've written an app for presenting offline web-apps which synchronizes with Dropbox: HTML Presenter. I have just had my ipad stolen. I only just bought it and had only installed Dropbox. Naturally I have used another computer to empty my Dropbox but the account remains live and the App is on the iPad. It occurs to me that there is a chance that someone will open the dropbox and, if connected to the network could view any file I chose to put in there. Neat would be a program that took a snap of them and sent me their IP address. PS I have looked at Dropboxes list of connected computers. Unfortunately Mobiles are not supported. You can go into your Dropbox settings on the website and disallow access from the iPad app. Hey! filexpert has a much better ui. Try it. It is the same or more features than esfile explorer. I use DropSpace on Android, and think it's one of the more useful apps out there. Is there anything similar for Windows? I'm running into lots of corrupted files lately with dropbox. I've read a lot of people having success syncing their ThunderBird profile with dropbox, which works great if you don't use extensions like lightning. Right now I have to pause syncing when I open the portable version of Thunderbird from dropbox and then resume after I'm done. If I could just have a copy of the folder at each location I use Thunderbird, and use a 'DropSpace' like windows program to sync the folder back to dropbox when I'm done using it, I could avoid the corrupt files I get when I forget to pause syncing. Anyone using a program for windows that accomplishes this? Why don't you try the web uploader or even skydrive, box.com etc. Then post your results. +1 on DropSync. I paid the little extra for the pro version, and it's worth it. I recommend Dropsync for Android (on sale now too - free version available too). You can sync any folder on your phone to Dropbox (and vice versa). Also, Dropsync allows you to selectively sync, just like the Dropbox desktop client. I second this- dropsync is superb! it has got 7GB free space too. 1password is NOT free... its $9.99 or $14.99 for the Pro version. But sorry, the iPhone 1Password app is $9.99 for the pro version. Also Android version dont count since its only a reader and not really something you can use to add for new passwords, makes it pretty useless. Any other suggestion? I'm pretty sure Dropbox has automatic uploads of photos from Android phones. Dropbox? Forgot all about it when I discovered Google Drive. So much simpler to use and works better.